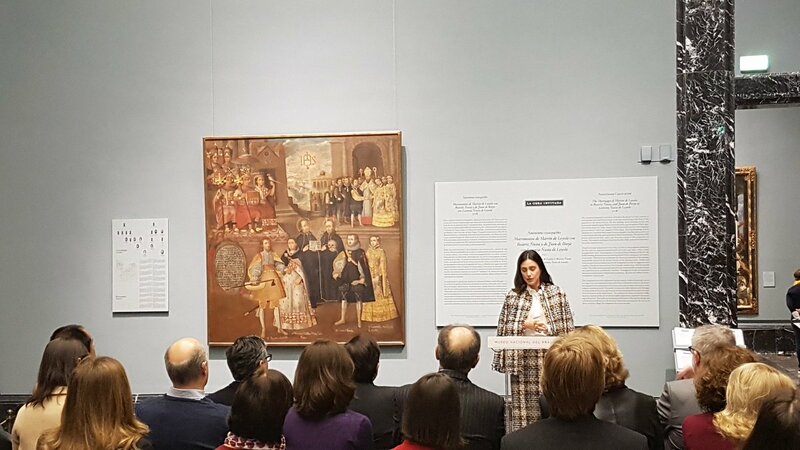 Princess Alessadra at the presentation of the guest work "Marriage of Martín de Loyola with Beatriz Nusta and Juan de Borja with Lorenza Nusta de Loyola" from Museo de Osma in Peru, Lima. I am waiting for the name to be announced. Congrats to the parents and wider family! Ernst August III? Kind of hoping not but would not be surprised. I assume his full name will be revealed at his baptism like his sister. Elisabeth like other members of her family takes her middle names from her godmothers. Congatulations to the family of four now! "The name is not yet officially confirmed, but as BUNTE already revealed, the proud dad will follow the family tradition and name his son Ernst August." Christian and Alessandra were pictured in Madrid a couple of days ago (one year after their religous wedding on March 16) - so in love.. Still no news about the name of the new boy? He has just turned a week. Perhaps they'll take a Danish turn and announce the name at the christening? For selfish reasons, I hope not! This was written by Bunte based on a Instagram Post which had in the meantime deleted. Not confirmed by the Family. Christian and Alessandra attended the Rose Ball in Monaco last night. More photos and information can be found and posted here.